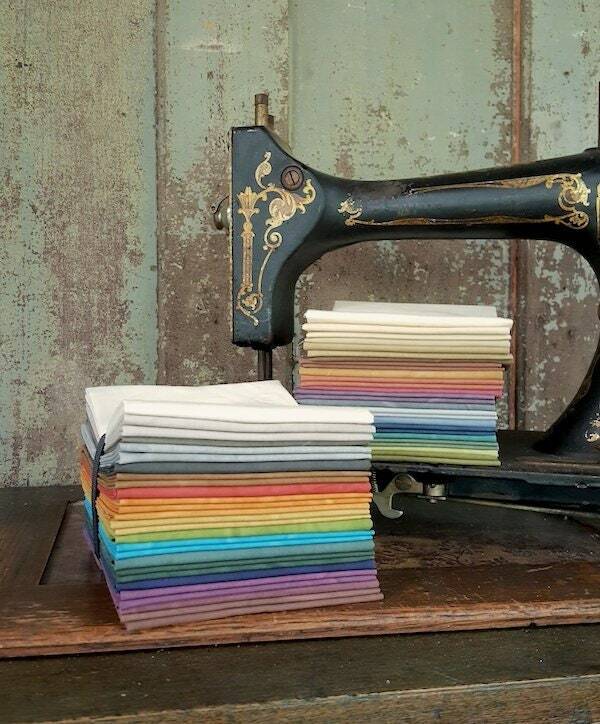 Fabric: Bundle FQ 18pc Muslin - Primitive shades or brights. 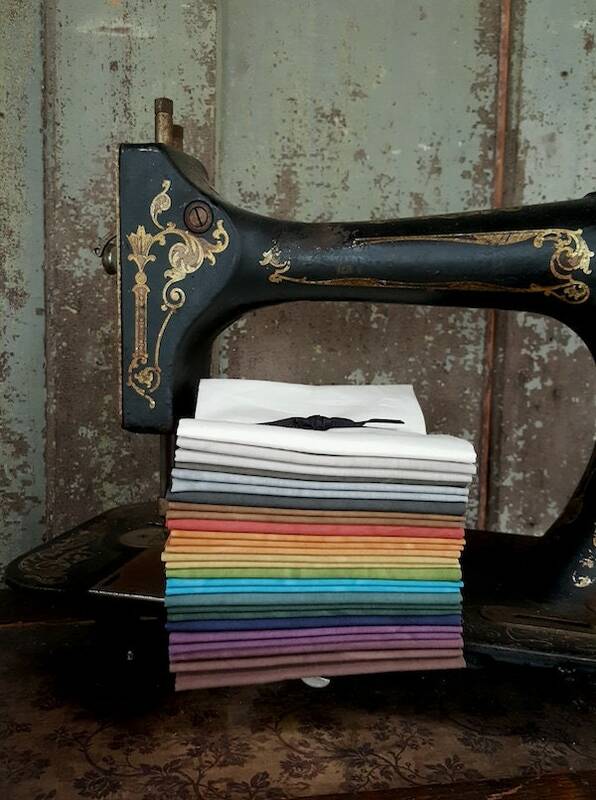 Hand Dyed Muslins (18 pieces) in fat quarter bundles from Marcus Fabrics. You will receive ONE (1) of each color. (pic shows appearance of 2 but that is how its been folded). 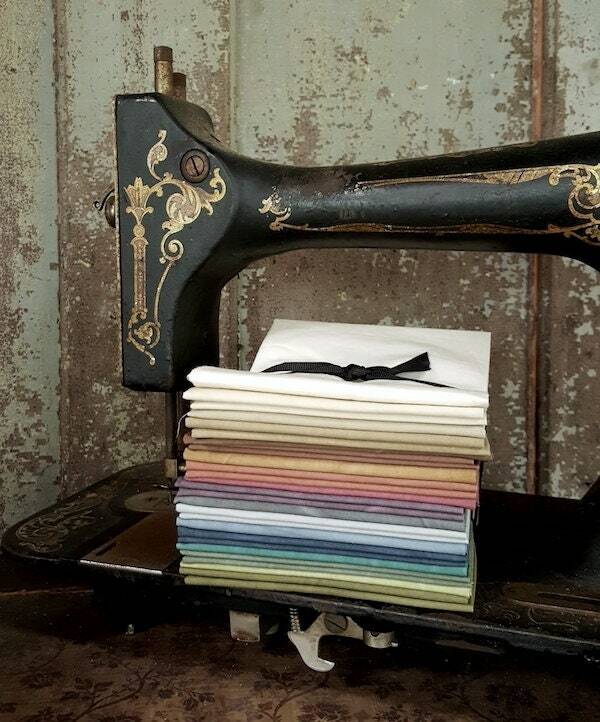 Marcus Fabrics is making this versatile fabric available in a scrumptious fat quarter bundle featuring the top 18 colors in the line. The aged muslin cloth has been over-dyed and features a subtle crushed texture to resemble a vintage look. Please note colors vary per bolt and sometimes have a modeling look to them. This fabric will give an authentic look when paired with reproductions, or a casual tone when blended in with contemporary prints. What separates the Aged Muslin of Marcus Fabrics from the others is their special dyeing technique used to create a faded, distressed, aged look that gives it a suede-like appearance when used in quilts, apparel & accessories. 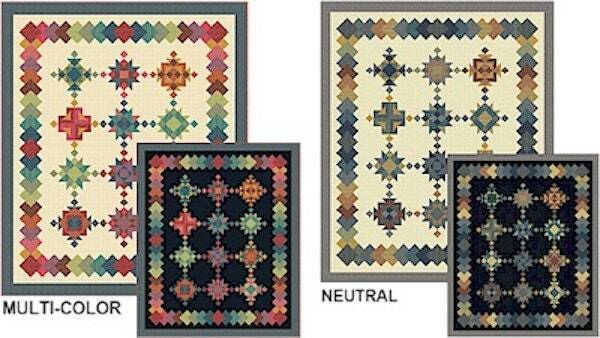 Great as a gift for that quilter in your life.. or just a great stash builder too!